The All Progressives Congress has appealed to Nigerians to support the President Muhammadu Buhari-led administration in its efforts to solve the nation’s security challenges. The National Publicity Secretary of the APC, Mallam Bolaji Abdullahi, said this in a telephone interview with one of our correspondents in Abuja on Sunday. He said what the Buhari-led APC deserved at this point in Nigeria’s history was the support of all to end the senseless killings of Nigerians by those who did not wish the nation well. Abdullahi also advised the opposition Peoples Democratic Party against seeking to make political gains out of the unfortunate incidents of attacks on communities by suspected herdsmen. The APC spokesperson noted that it was unfortunate that the opposition PDP had developed a penchant for making wild allegations against the governing APC each time there was an incident bordering on security breach. He described allegations levelled against the APC by the PDP over the killings in Kogi State as preposterous. The PDP had in a statement signed by its National Publicity Secretary, Mr. Kola Ologbodiyan, accused the APC at the state and federal levels of complicity in the killing of over 20 persons by suspected armed herdsmen in Kogi State. But Abdullahi said, “The sad incident in Kogi State like in some states in the North-Central geopolitical zone is a security problem that this administration is doing everything to solve. 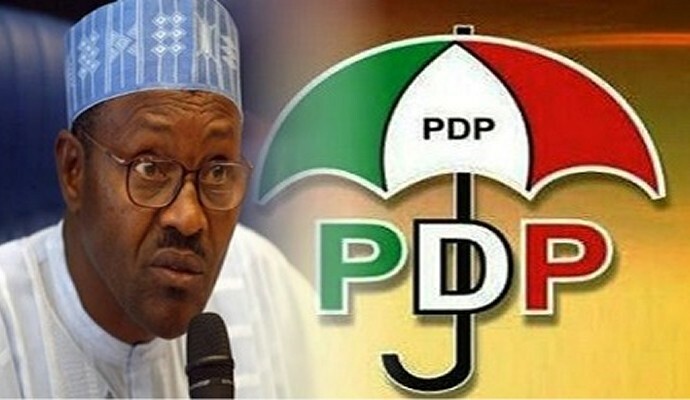 “For the PDP to begin to insinuate that it has something to do with our party is preposterous. “The PDP has become ardent in making wild allegations. In the almost three years they’ve spent in opposition, they’ve not come up with a single solution to help solve Nigeria’s problems, all they do is criticise and make wild allegations. “The victims of these unfortunate incidents are Nigerians and they cut across party and ethno-religious divides. Meanwhile, President Muhammadu Buhari has approved the appointment of Governor Simon Lalong of Plateau State as a member of the National Food Security Council. One of the mandates of the organisation is to develop sustainable solutions to the clashes between farmers and herdsmen over grazing in a manner that food security remained sustainable. Others in the team include the governors of Kebbi, Lagos, Delta, Taraba and Ebonyi states and the ministers of Agriculture and Rural Development, Finance, Interior, Industry, Trade and Investment, Water Resources, Environment and Budget and National Planning. The council has only six governors with proven commitment to agriculture as members working in collaboration with seven federal ministries, the Central Bank of Nigeria and other security agencies and is chaired by the President. The appointment of Lalong is coming barely two weeks after the visit of Buhari to Plateau State.